Snidely Whiplash from The Rocky and Bullwinkle Show Snidely dog is here... or he will be with this Humunga Stache from Think Geek. And doubtless, if you play with this Stache at the park, there will be many a Dudley Do Right chasing your dog around. 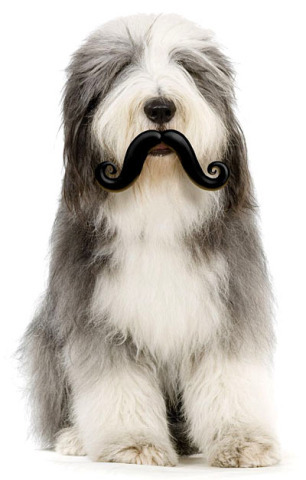 Not just another day in the park, the Humanga Stache is guaranteed to make your pooch the center of attention, especially if he bares some teeth. The Stache is actually a toy, a ball to be specific, almost the size of a tennis ball, with a villainous mustache attached. Now why does this dog look so innocent in his Stache? This Stache must have been photoshopped. Where is the ball? 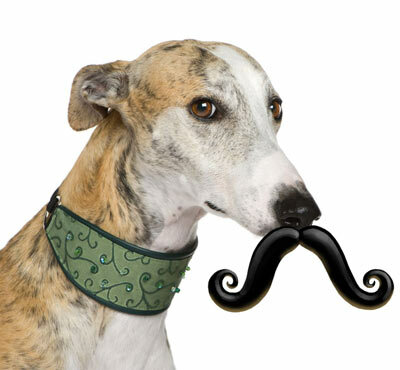 How could a Greyhound ever be a Snidely! Aha! 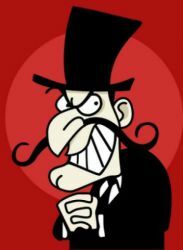 Now here's a Snidely. 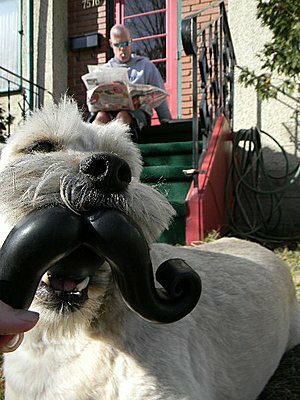 A terrier always knows how to be a villain with a Stache. 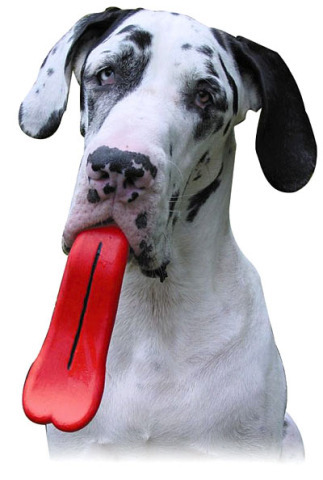 And, oh, don't forget to check out the Humanga Tongue.